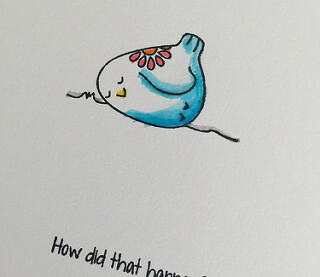 The bird and sentiment are from a cling set called Birdie Conversation by Unity Stamps. A first use of my new ZIG Clean Color Real Brush markers. What I learned right away is what every one else has said in their first use, need the right paper! 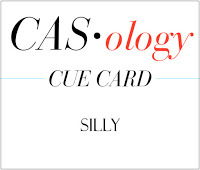 My card today is on regular white heavy-weight cardstock. Being away this week it is all that I had to use. I used two shades of blue on the belly and found it difficult to blend them together. When I was done to blend them without many supplies I used a Q-tip and a bit of water to smooth the transition between shades. I love the feel of these markers and can't wait to learn how to use them more. This is also for Kathy Racoosin's 30 Day Colouring Challenge Day 5. A little more colouring on the road this time using my new ZIG's! I am aso submitting this to the Simon Says Anything Goes Wednesday Challenge - Anything Goes! This is fun! Love the shades of blue - can't wait to see your whole set and decide which colours I need to add to my little collection! This is so adorable, and nice job using those markers for the first time. I'm sure you will be hooked before long and a real pro. Oh this is so fun!! LOVE the little bird and that sentiment is fabulous!! What an adorable little bird and so fun that you got to try your Zig markers out for the first time. I really love mine! I have found that they don't blend well on card stock, but work really nicely on watercolor paper or Bristle board! 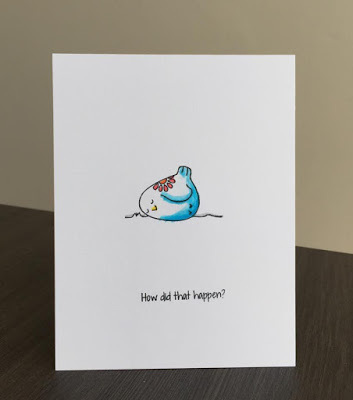 such a sweet card :) i have been playing with the zig markers too- next try is with bristol paper :) thank you for playing along with us at simon says stamp wednesday challenge! Super silly and simple and sweet! Best of luck with your Ziggys! I love it! It's also very cute ! This is so cute Tracey! I had to come in for a closer look, fantastic and totally silly image. Hey Tracey!! I love your little plump chicken. Super funny and cute. and you did not post anything after 6 October hehe..
me too with all the DT cards I am bussy to commenting participant too..